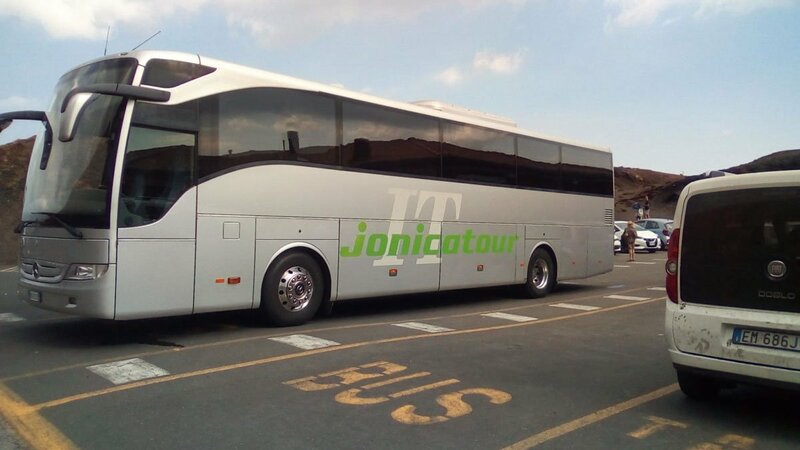 Jonicatour is the Sicilian company specialized in the bus hire Gran Turismo for every transport need in Catania and throughout the Sicilian territory. 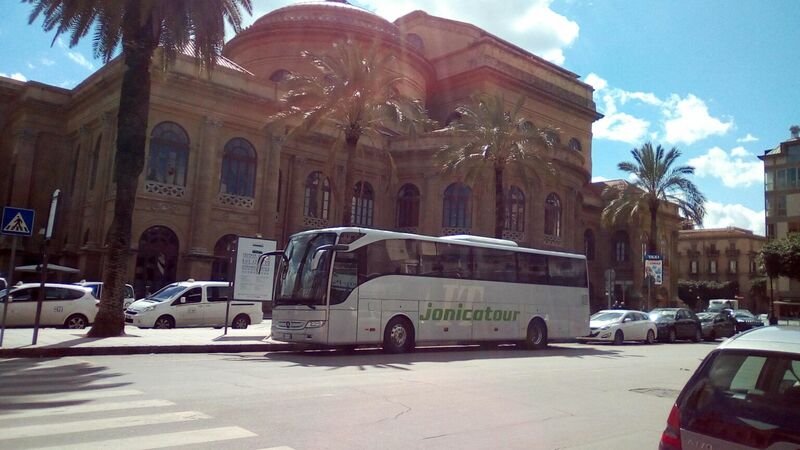 Jonicatour takes care of transportation for countless activities ranging from excursions to travel, from congress services to transfers to and from airports. 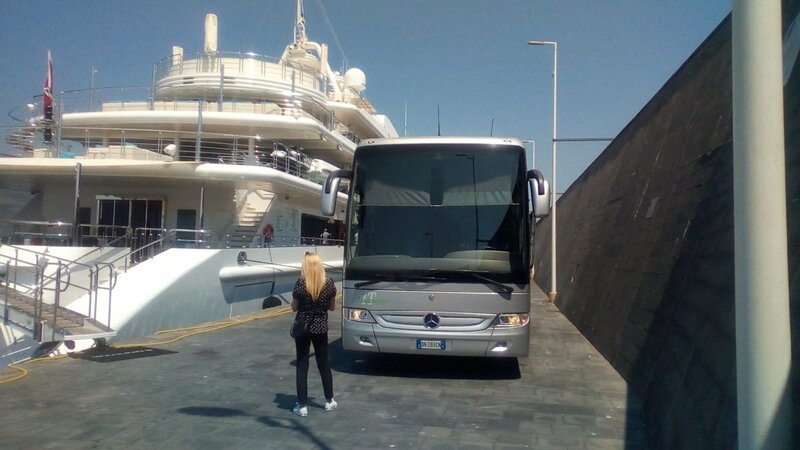 Gran Turismo bus hire is the ideal solution to make travel and travel in maximum comfort, punctuality and safety. Service also for TOUR OPERATOR. 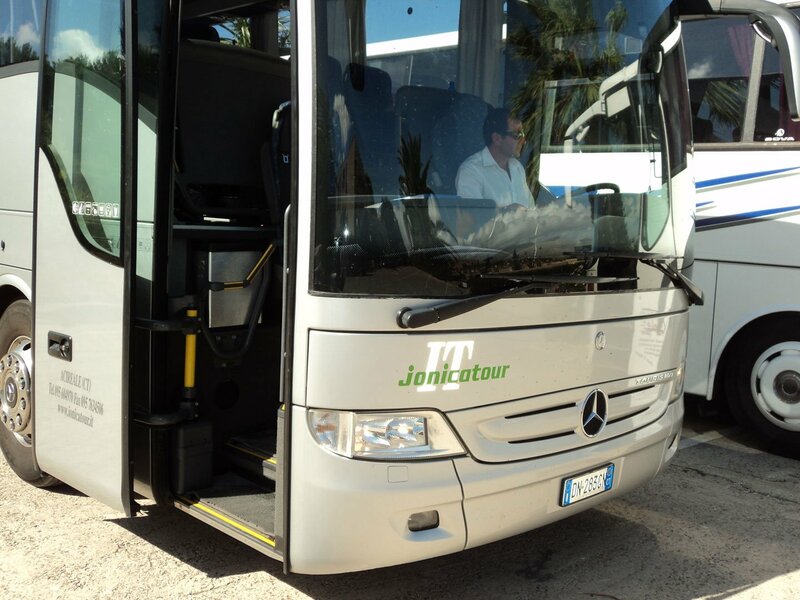 Jonicatour’s Gran Turismo Buses are an ideal transport to organize pleasant tours AND travels in Sicily, equipped with air conditioning, TV, our buses represent the best way to make pleasure trips in pre-arranged groups. 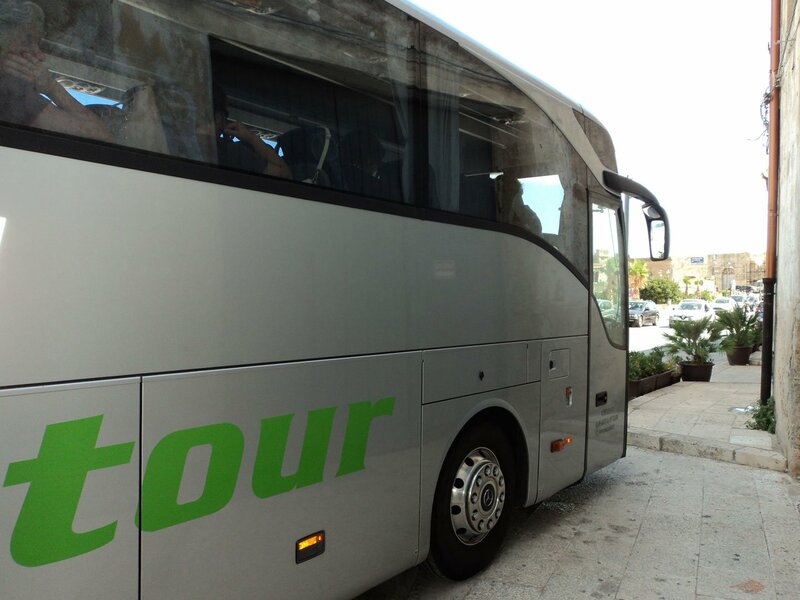 The hire of bus and car with driver will also allow you to enjoy your trips as much as possible, without worrying about the routes and the timing, which will be respected with the utmost precision. The drivers are all qualified and attentive to every need of travelers on board and ready to assist them in loading luggage and throughout the journey. The courtesy and professionalism are the strengths of the service offered by the company, in addition to the safety of the vehicles and the rates. Particular attention is given to the elderly users who are assisted throughout the journey, even during the ascent and descent from the bus. COPYRIGHT © 2018 JONICATOUR DI GRASSO SALVATORE SNC – P.IVA 02995760879 – ALL RIGHTS RESERVED – WEBSITE CREATED BY WEBMASTER NICOSIA ANTONIO. JONICATOUR DI GRASSO SALVATORE SNC rende noto agli utenti del sito https://www.ionicatour.it/ (rispettivamente, gli “Utenti” ed il “Sito”) che il Sito utilizza diverse tipologie di cookie per la navigazione e il tracciamento di dati. Nelle seguenti sezioni troverà un elenco delle tipologie di cookie che il sito di JONICATOUR DI GRASSO SALVATORE SNC utilizza durante la navigazione dell’Utente. In nessun caso vengono utilizzati cookie che identifichino personalmente l’Utente. Cookie di profilazione di JONICATOUR DI GRASSO SALVATORE SNC Sono quei cookie utilizzati per mostrare agli Utenti messaggi pubblicitari che potrebbero essere di loro interesse o che sono simili a quelli esaminati e/o acquistati in precedenza. 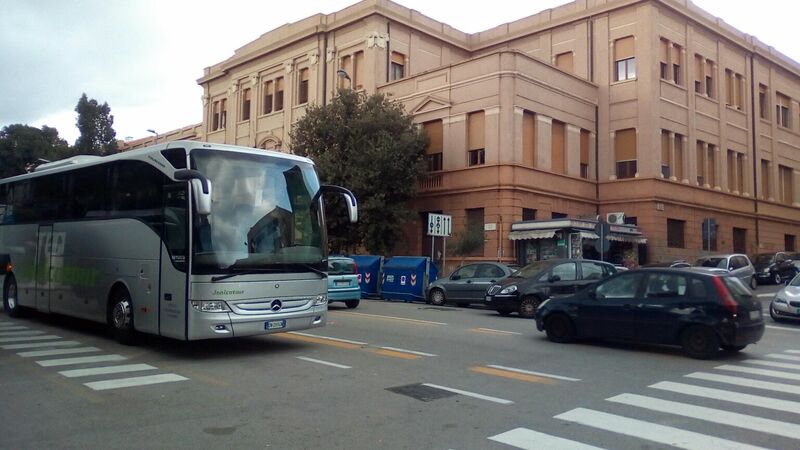 Tali cookie sono installati direttamente da JONICATOUR DI GRASSO SALVATORE SNC e la loro installazione richiede il Suo consenso; nel caso non volesse fornire il Suo consenso per il loro utilizzo, dovrà procedere al blocco di tali cookie tramite il browser da Lei utilizzato. Per maggiori informazioni su come gestire i cookie, può consultare la sezione “Abilitazione/disabilitazione dei cookie tramite il browser” della presente informativa. Tali cookie sono installati da soggetti diversi da JONICATOUR DI GRASSO SALVATORE SNC e l’installazione degli stessi richiede il Suo consenso; in caso non desiderasse che questi cookie vengano installati, la preghiamo di seguire le istruzioni riportate nella sezione finale di questa informativa, relativa alla gestione dei cookie del browser. Riportiamo di seguito i link alle informative privacy delle terze parti collegate al sito di JONICATOUR DI GRASSO SALVATORE SNC, dove potrà acquisire maggiori informazioni sul trattamento dei dati personali da loro effettuato.